I have no particular recipe to refer to simply cubed, briefly steamed potatoes, chopped onion, garlic, and red pepper. 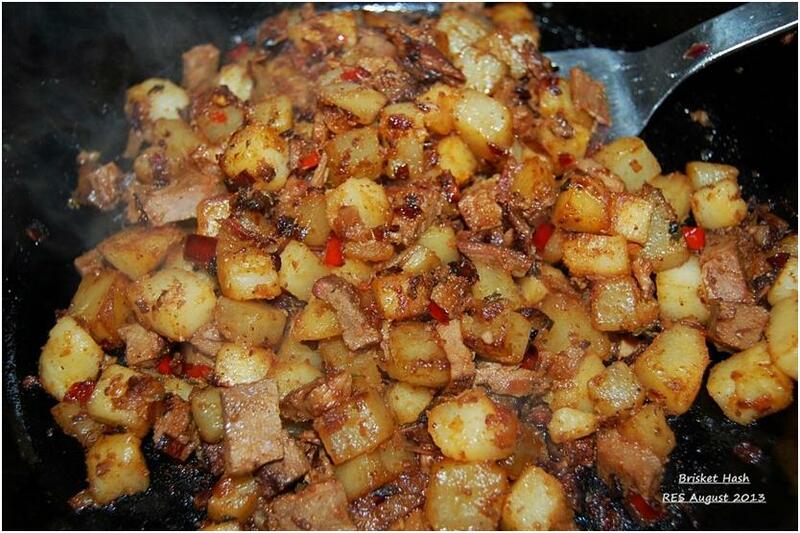 As much brisket as you choose to use and some of the brisket sauce to toss into the almost done hash. Sauté all the veggies and potatoes until the potatoes start to get brown and crispy then toss in the beef continuing to cook for several minute, 5-6 and then add the brisket sauce turning into the hash…serve piping hot.